I’ve always been interested in the psychology behind people’s actions. As far back as I remember, people turned to me with their problems. Being the oldest in my family, I had to take a helping role. My interests and strengths made going into counseling and psychology a natural step for me. I also have learned a lot about myself. Being in this field has motivated me to constantly be working on myself. I know I can only coach others as far as I can get myself. I’m extremely passionate about relationships and people feeling empowered to deal with challenges more confidently. People’s fear and anxiety can distract them from seeing the choices they have. I help people break down problems and relationships into choices that empower and connect them. Initially I was skeptical about working with clients solely via text-based therapy. But I wanted to reach more people who lived outside of my area, travelled for work or were homebound, recovering from surgery. I had been trying to launch an online therapy service on my own but wasn’t reaching many people. When I found out Talkspace had a secure platform for working with clients, I decided to check it out. Together clients and therapists are trying something new: using technology to overcome barriers to participate in counseling services. 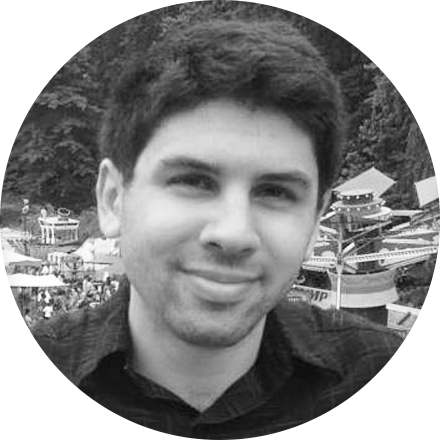 I feel like I took a risk in trying something new and am helping pioneer a new resource for people who want to consult a licensed mental health professional. As they would in an office setting, people do experience personal growth via working with a counselor online. I am no longer a skeptic. While I’ve been out of graduate school for almost 20 years, I’ve completed six years of post-graduate training in Bowen Family Systems Theory [BFST]. BFST views the emotional unit of illness as the family. It makes sense of problems and symptoms by considering the context of significant relationships. I work with individuals, couples and family leaders who want to do their part to solve problems by improving relationships. We live in a highly digitally connected world, yet people are more isolated and anxious than before. As a counselor I invite others to turn challenges into opportunities to grow confidence and intimacy. Life gets bumpy and stressful sometimes. But the more people feel like they can do something about how they deal with the bumps, the better they do in life. There are a culmination of moments that inspire me. It’s an honor for my clients to share their struggles with me. Many start counseling with hopelessness and frustration. I’m honored to be both a witness and coach along their journey. When they start to see they are making progress, their hope returns. That’s inspiring to witness every time. One of my clients who struggled with social anxiety started counseling when she had trouble leaving her house due to chronic worry that others disliked and judged her. Eventually she progressed to leaving the house daily and smiling at strangers to volunteering in her community and feeling confident about her contribution. This is one of many times I’ve witnessed transformation from hopelessness, fear and self-deprecation to hope, confidence and passion. You don’t have to wait until there is a crisis to come to counseling. While a crisis is motivating and a time where patterns are more easily observed, you can also attend counseling before your marriage or emotions are at a crisis point. Many people come to counseling to receive coaching on personal or relationship growth goals. Others continue counseling on an as-needed basis to help maintain changes they’ve made. Counseling is a place to foster clarity and motivation as well as receive encouragement and a new perspective. 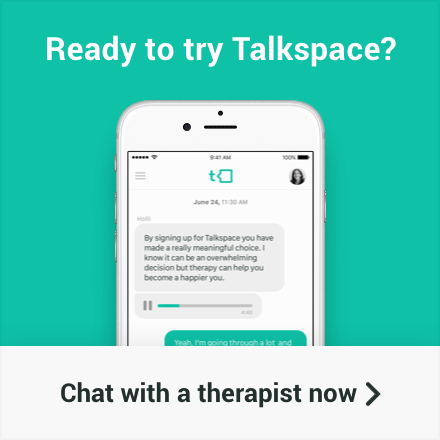 If there are barriers to you participating in counseling in an office setting, consider trying Talkspace for a month. 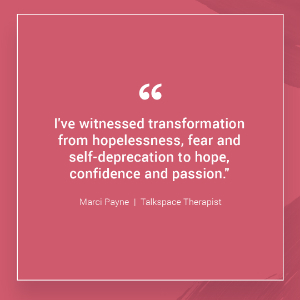 The creators of Talkspace are committed to ensuring therapists at Talkspace have access to training and mentoring to fine tune their counseling skills in this modality. There are many ways to communicate with the therapist you are matched with from text, audio, and video messages to even live sessions. Find a modality or format that works for you and you will feel more comfortable in this new way of doing counseling. The therapists here don’t only want to tell you what or how to handle problems, they want to help you feel empowered to answer your own questions and face your own challenges. I enjoy reading, movies, listening to music, bike riding, laughing with my friends, and hanging out with my spouse and two children. 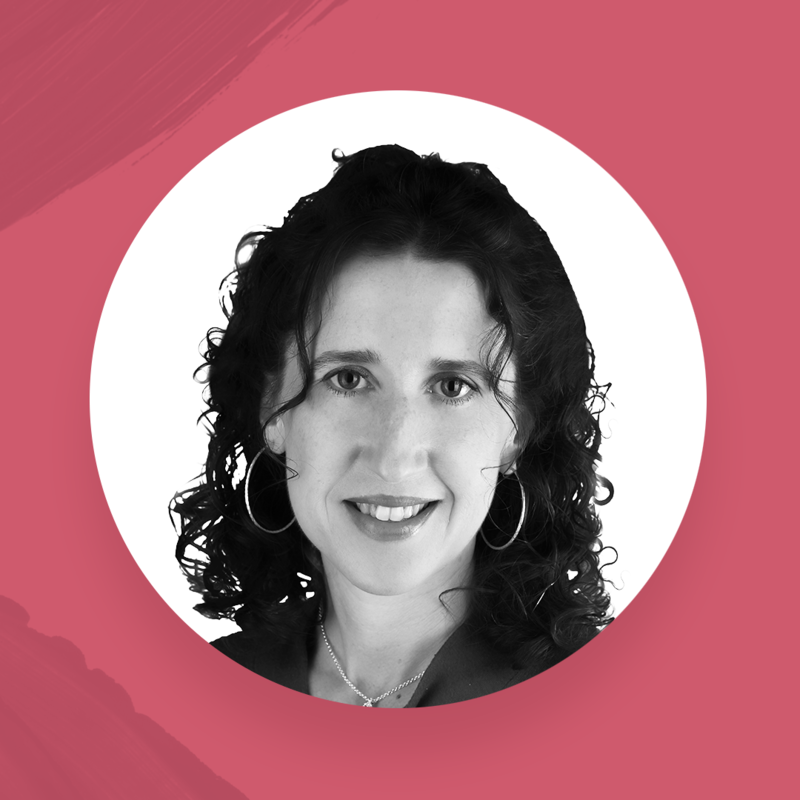 Marci Payne works with individuals and couples in her private practice in Independence, MO and online with Talkspace. Note: You will need to sign up for Talkspace to chat with Marci or any other Talkspace therapist. Make sure you live in the same state as Marci before you request her.